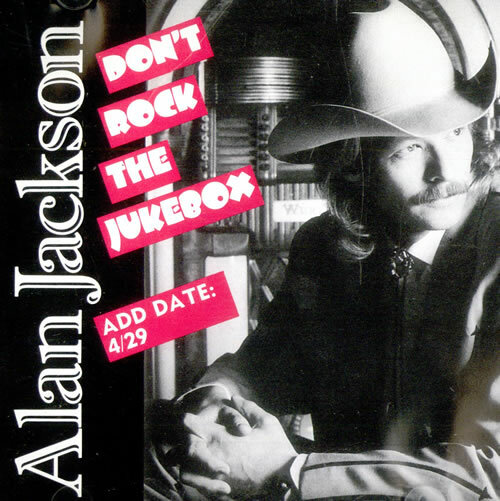 That’s “don’t rock the jukebox” as in “I’m brokenhearted and that darn rock music won’t help. Play George Jones.” And the pun is that it sounds like he’s asking you not to jostle the machine. Which…people don’t commonly do, really. Kind of a stretch, right? But it’s a record that defies explanation. Because Jackson perfectly inhabits the song’s affable weariness, and because Scott Hendricks and Keith Stegall arrange it to honky-tonk heaven. You end up believing that some boozed-up guy actually could be making this request – if, perhaps, mentally – and couching his hurt in a quirky half-joke, the way people often do when they’re first emerging from a lonely spell. In sum, it’s like hearing a sunnier, contemporary Johnny Paycheck. Little surprise, then, that this odd duck took Jackson’s career to its rightful next level. I love this song. Definitely a sentiment any diehard country fan can relate to! I’m not a big fan of AJ’s music, but I always liked this song. Love the song, love the review.